Ice Fire FLEECE Figure Skating Pants - Criss-Cross. 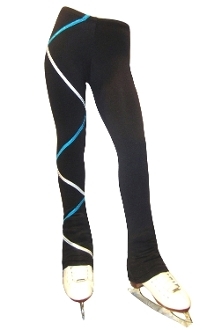 The Ice Fire fleece ice skating pants feature a Criss Cross design made with Shimmer Matrix fabric. They will keep you warm and stylish during practice. These pants are a perfect match with the Criss Cross Pattern Jacket. Available in several colors in Child XSmall - Adult Large. Click on images to view sizing chart.